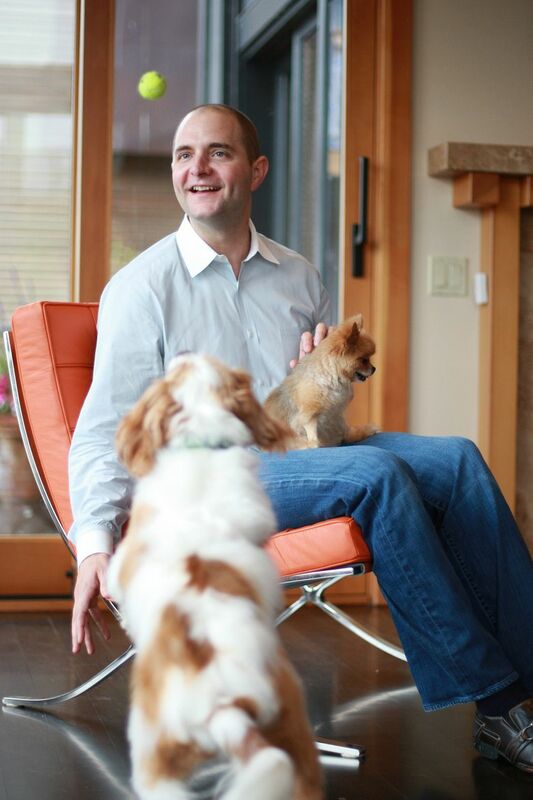 Seattle dog-sitting marketplace Rover.com has raised another $125 million from investors, increasing by 80 percent the total funds it has reeled in since it was founded in 2011. The company also secured a $30 million line of credit from Silicon Valley Bank. Rover will use the infusion of cash to expand to Europe, starting with the U.K. this summer, said CEO Aaron Easterly. Currently, Rover’s online services, which allow people to connect with others nearby for dog sitting and walking, are available only in the U.S. and Canada. After the U.K., the company will expand to other parts of Western Europe. “In the U.S., pets are people’s children and the same is very much true in Europe,” Easterly said, adding that Europe has even greater population density in metropolitan areas, where most of Rover’s customers live. Before this round of funding, Rover had raised $156 million from investors. The company has 375 employees, up from 240 people a year ago. It plans to have about 500 employees by the end of the year, Easterly said. Securing the line of credit makes it possible for Rover to acquire companies or expand into new markets quickly without selling an additional stake in the company, he said. Rover last year bought its biggest competitor, Santa Monica-based DogVacay, for an undisclosed amount. DogVacay’s service was combined with Rover’s under the Rover brand. The Santa Monica office was closed, though some DogVacay employees moved to Seattle to work for Rover and some work remotely from California. About 1 million services are booked using Rover each month, and 200,000 dog sitters use the website or app. Rover now offers on-demand dog walking service in eight U.S. markets — Seattle, San Francisco, Manhattan, Brooklyn, Los Angeles, Denver, Portland and Chicago — and plans to keep expanding that service. It is also considering launching features in other areas of pet care, including grooming, vet services and training. Testing for some new services will start this year, Easterly said. Rover’s latest round of funding was led by T. Rowe Price Associates, a Baltimore investment management firm. Easterly said taking the company public could be a possibility. “We’re always looking at the best way for Rover to continue to grow,” he said.